Oceana Gold’s Macraes open pit mine is located 100 kilometres, north of Dunedin in the Otago region of the South Island of New Zealand. Macraes is New Zealand’s largest gold producing operation and has produced over four million ounces of gold. 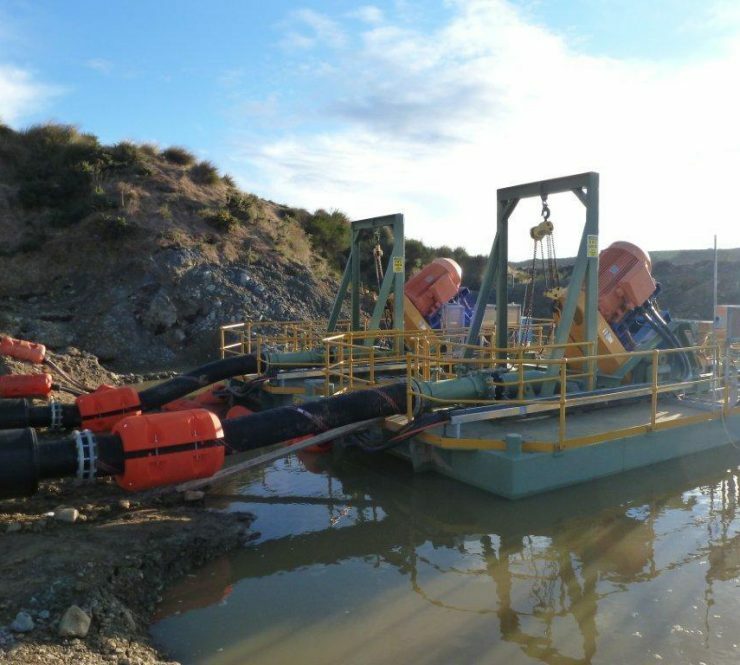 As part of the expansion to the mine, Oceana required two new floating pump pontoons to support the main water recovery pumps. 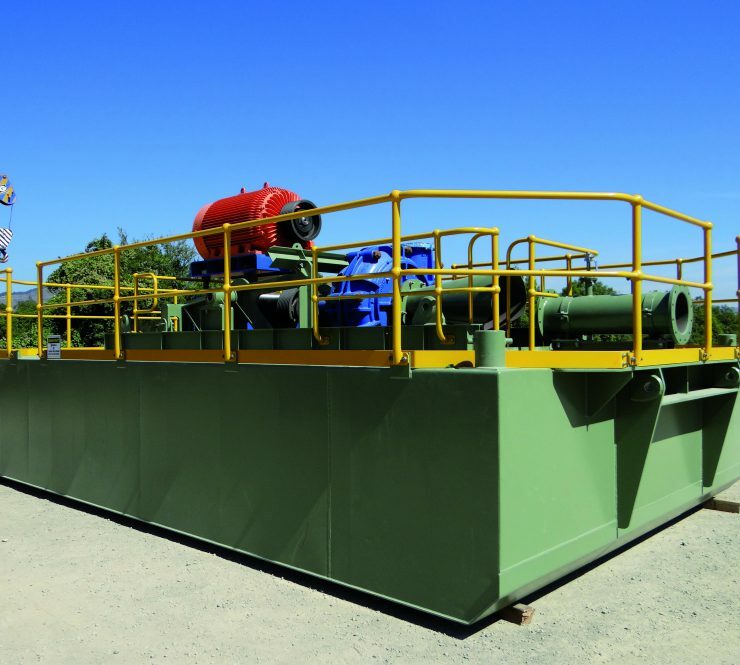 Oceana Gold commissioned Brightwater to supply two floating pump pontoons. 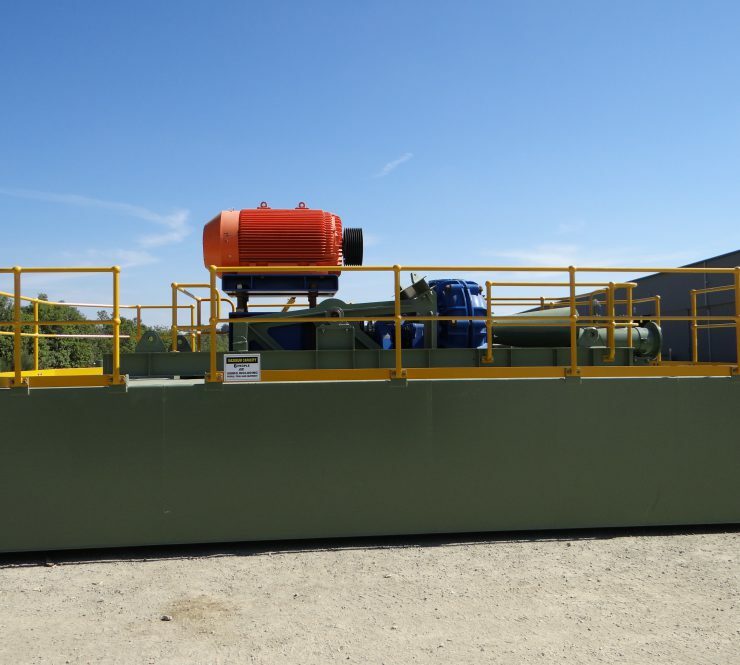 The pontoons float in a man-made recovery water lake and support the main recovery water pumps which alone weigh 10 tonne and are fitted with 450kW electric motors. The pumps will transfer up to 2,000m3/hr of water back to the plant via a 600 nominal bore floating pipeline. Brightwater designed and fabricated the pontoons which included a pump tilting mechanism to lift the pumps out of the water for maintenance, an integrated anti-vortex plate around the pump suction and personnel access for maintenance and inspection of the pump. The design also had many inherent safety features including multiple bulkheads and was fully certified by a naval architect for operation at the mine site.